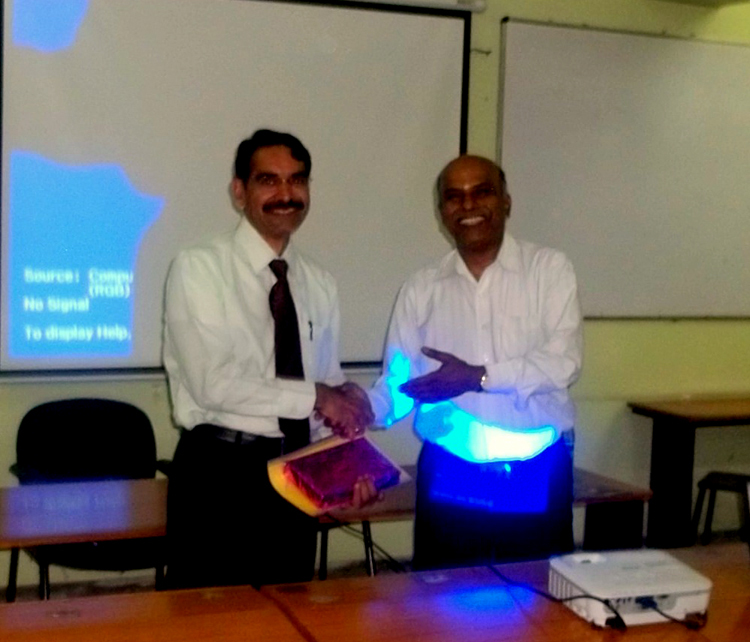 BANGALORE.JUN.1: The Karnataka Qualified Homoeopathic Doctors Association (KQHDA), Bangalore has organized a CME at RV College, Jayanagar, Bangalore. Dr.B.R.Shrinivas welcomed the gathering. In the scientific session Dr.Shreepad Hegde, Professor, Govt Homeopathic Medical College, Bangalore, elaborated in detail about the "Scope of Homeopathy in Podiatry". He shared his experience in treating successfully critical cases with demonstration, on various diseases of foot and ankle. Dr.B.D Patel, Patron was present in the occasion. Dr.Chiranth Secretary KQHDA presented vote of thanks.